Overedging is done with Titan DK2500 sewing machine L+R with puller. 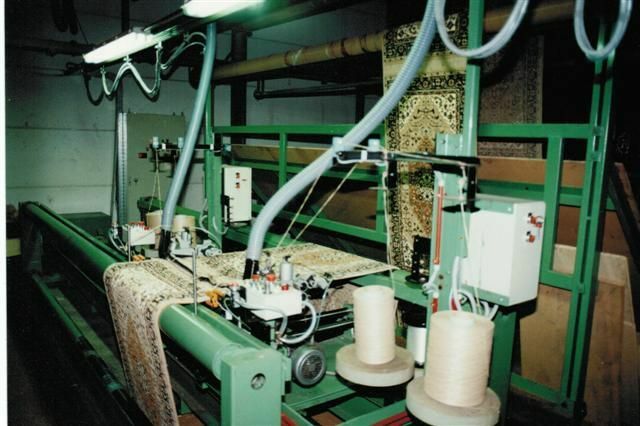 Machines are moving left and right for following the border of the carpet and moves forwards and backwards for thread reparing. 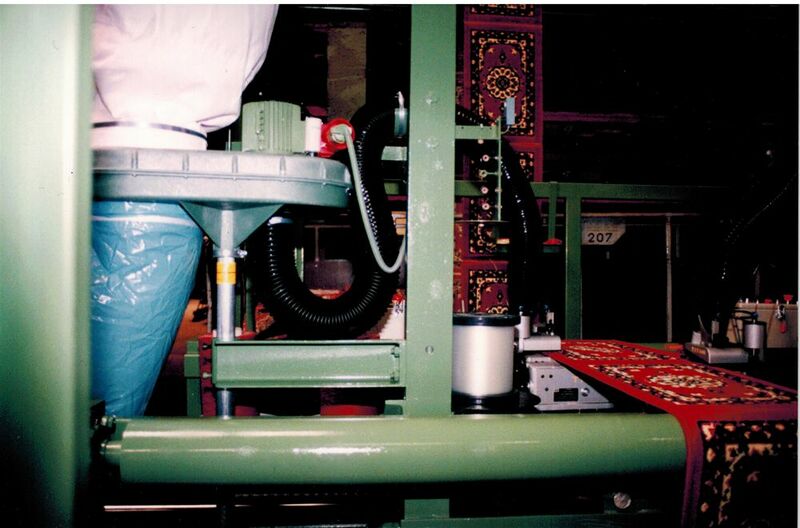 Thread controls for checking yarn ruptures, machine stops automaticly when a yarn is broken. 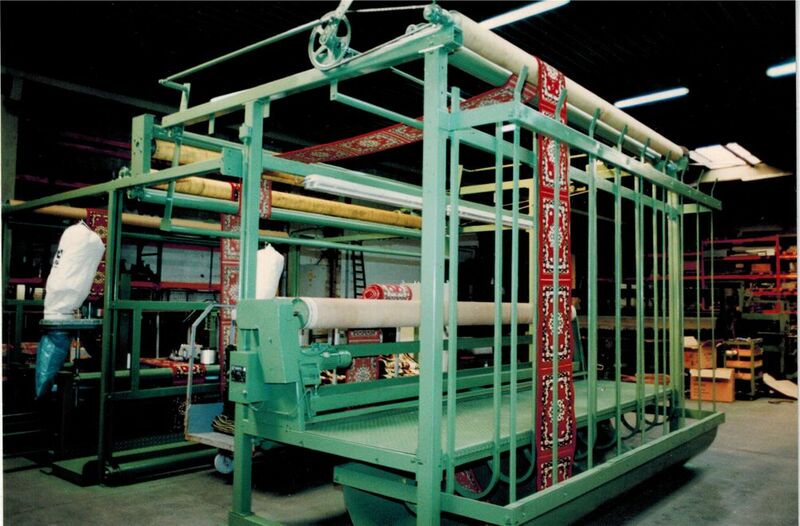 We can make on request a new custom overedging machine or adapt this machine to your wishes.